The Oscars (and that awkward Best Picture announcement) seem far behind us now, but an upcoming fundraiser for OutSpokane, the local nonprofit that offers support to and awareness of the local LGBTQ community, is hosting a reprisal of sorts. This year's 8th annual Murder Mystery fundraiser is themed around an imaginary Oscars afterparty, but something's gone awry. During the night's festivities, which include a plated dinner, cash bar and a silent auction, guests can also test their detective skills to find out "whodunit." Funds raised at the event support OutSpokane's annual Pride Parade and Festival in downtown Spokane held every June, now in its 26th year. 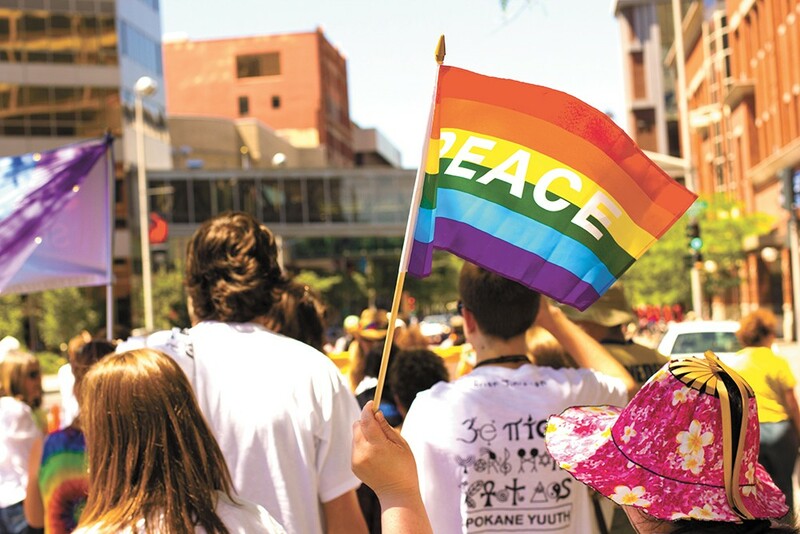 Beyond celebrating the cultural, social and political advances the LGBTQ community has seen come to fruition over the past several years, the event often holds deeper significance for the community and its allies, explains OutSpokane board member Michael Jepson. "I really would emphasize how important Pride is in today's environment," Jepson says. "We had our 25th anniversary last year, and while we were watching fireworks, someone walked into a nightclub in Florida and killed dozens of people of color, LGBTQ and trans people." Beyond its role of further establishing Spokane as a welcoming and supportive place to all, regardless of one's sexual or gender identity, OutSpokane's annual celebration often serves as a milestone moment for LGBTQ people who come out to their families, Jepson says. "We've come so far in the 25-plus years that Pride has been in Spokane, but we still have a long way to go," he adds.